Mounties say 12-year-old Darnell Smith-Aulotte has since been found safe and sound. 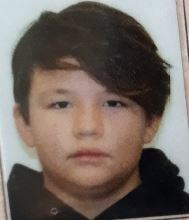 Mounties in Elk Point are searching for 12-year-old Darnell Smith-Aulotte. Police say Darnell was reported missing from Frog Lake. There is concern for his well-being. He is said to frequent Frog Lake, Lloydminster and Onion Lake. 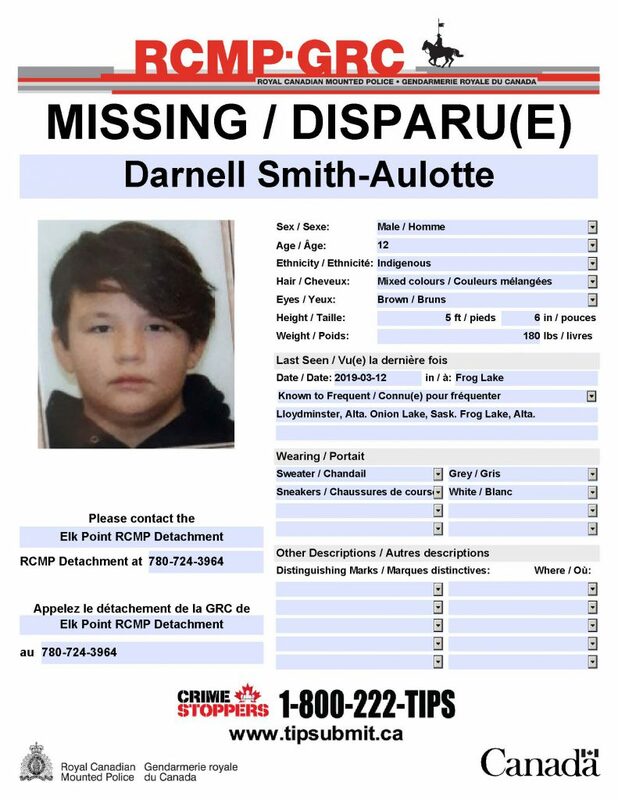 Anyone who may know of Darnell’s whereabouts is asked to call the Elk Point mounties at 780-724-3964 or Crime Stoppers at 1-800-222-8477.